Kidnapped. Starved. Beaten. I was alone and fighting to survive. When I heard Sculpt's voice, I thought he was there to save me. *Warning: This book contains some disturbing situations, strong language and sexual content. Over 18 years. Nashoda Rose lives in Toronto with her assortment of pets. She writes contemporary romance with a splash of darkness, or maybe it’s a tidal wave. 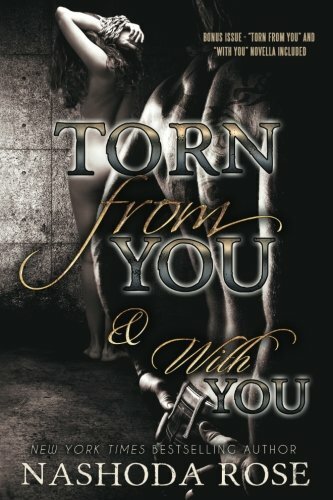 Her novel “Torn from You” is the first in the Tear Asunder series. When she isn’t writing, she can be found sitting in a field reading with her dog at her side, while her horses graze nearby. She loves interacting with her readers on Facebook and chatting about her addiction—books.